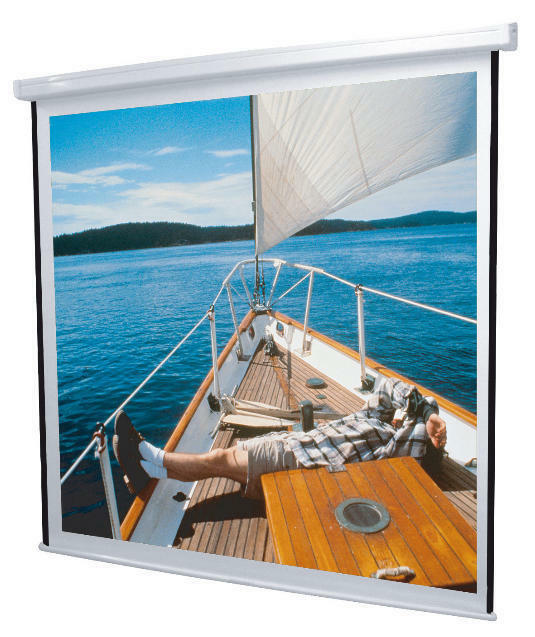 Projection screen with excellent price/quality ratio. Available in different sizes and format 1: 1. Their steel housing painted in black and white tops , for installation on ceiling or wall. It has automatic slow collection.